Appearance: A mixture of soft pinks and light reds, with hints of grey and intricately shaped crustaceans and corals for added depth. Small cream coloured calcite veins make sure that this stone is always interesting. 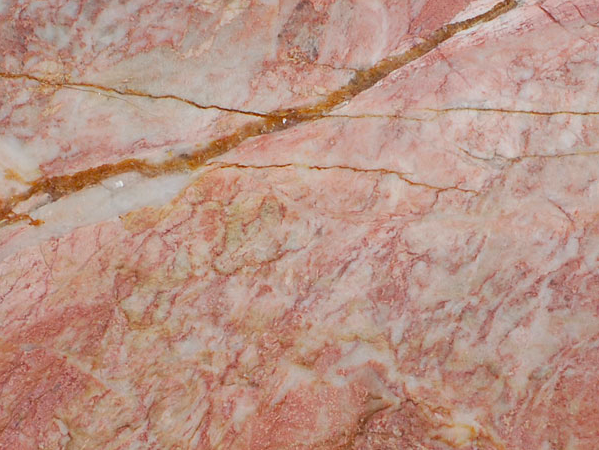 Properties: Like most natural stone, colour variations and and movement occur: these are part of its beauty. It is not acid (therefore not suitable for kitchen worktops or surfaces for food preparation) or frost resistant. It is recommended to seal it to extend its longevity. Use: Due to its good wear resistance and strength, this natural stone is suitable for most internal applications, including floors, walls, surfaces and bespoke stonework within both domestic and public environments. Formats: Slabs (typical slabs are 1400x1000mm) and cut-to-size.